I haven't worked with clay for years but thought it would be a fun to play with, especially since Brody has been so into playdough lately. 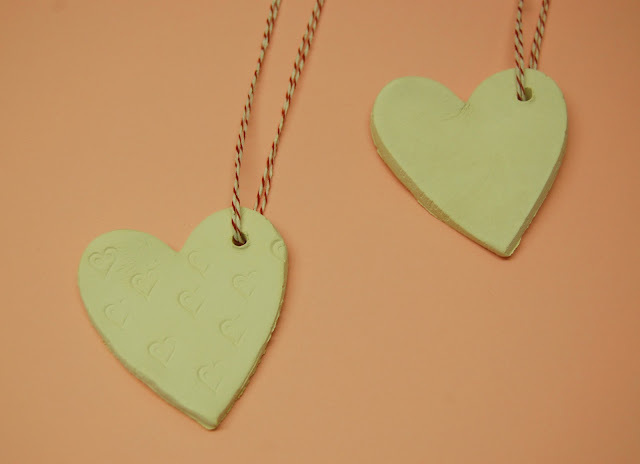 These clay hearts are perfect to use as a gift tags or hang them for a fun Valentines decoration. 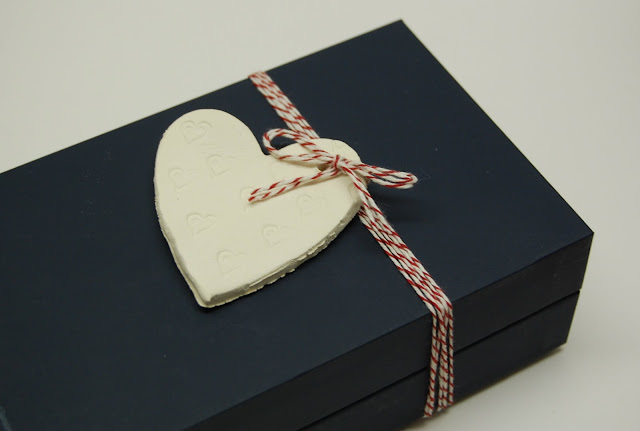 Make sure to follow cooking or drying instructions on the clay package. 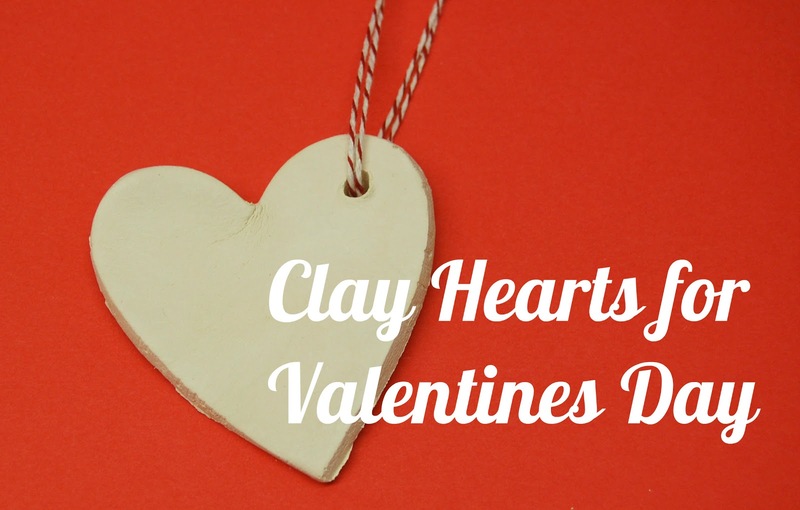 We used air-dry clay so it took about 2 days for our hearts to dry.